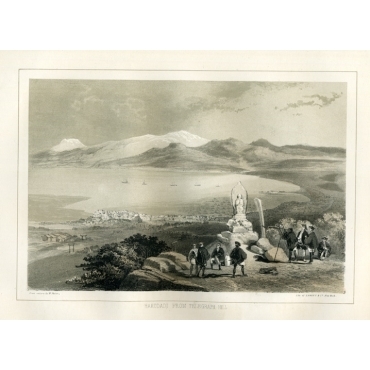 Bartele Gallery offers many antique (city) views from all over the world. 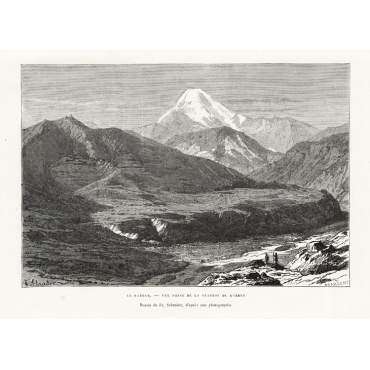 Explore our collection of antique prints of America, Africa, Asia, Europe and more. 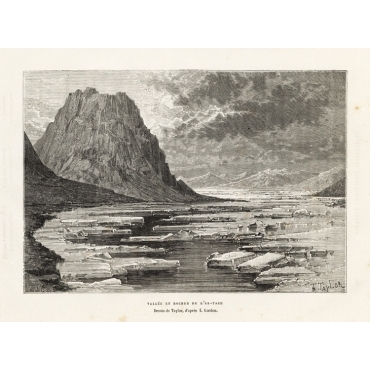 Find original old prints of cities, villages, mountains and rivers by Bellin, Van Schley, Montanus and many other artists and engravers. Bartele Gallery heeft een grote collectie antieke (stads-)gezichten van over de hele wereld. Ontdek onze collectie antieke prenten van Amerika, Afrika, Azië, Europa en meer. Bij ons vindt u oude prenten van steden, dorpen, bergen en rivieren gepubliceerd door Bellin, Van Schley, Montanus en vele andere artiesten. Antique Views There are 1027 products. 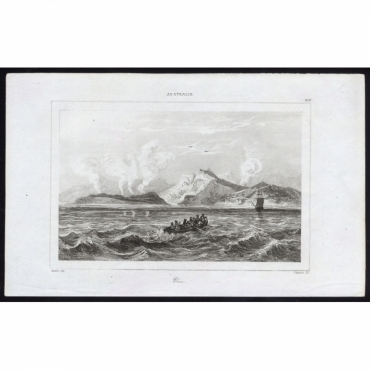 Antique print, titled: 'Vue - 279, Australie', View of an Australian coastline with several active geysers. 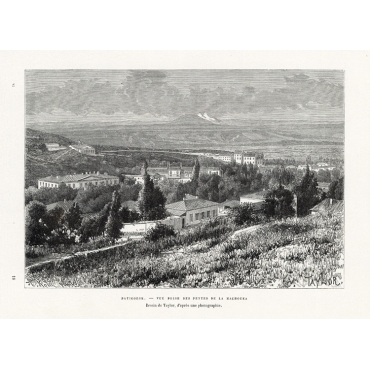 Antique print, titled: 'Vue Sud Ouest de Williams Fort ou de Fort Guillaume a Juida' - Decorative panoramic view of Fort Williams and Fort William Juida. 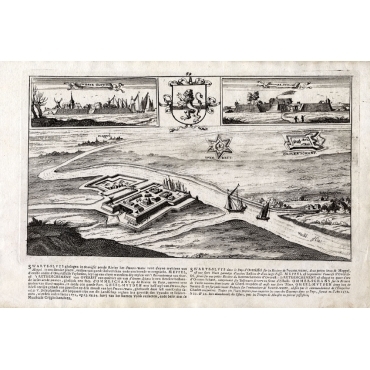 Antique Print 'De Diestpoort te Batavia - 'T Kasteel te Batavia en het Laboratorium.' 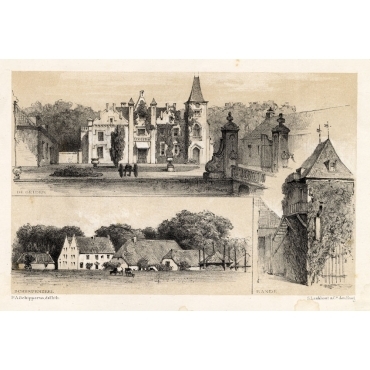 (The Diestpoort in Batavia - The Castle of Batavia and the Laboratory.) 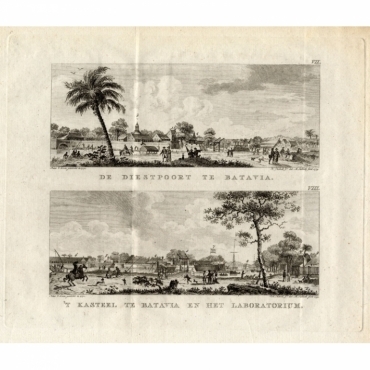 This very scarce print shows 2 views of Batavia (Jakarta), Indonesia. 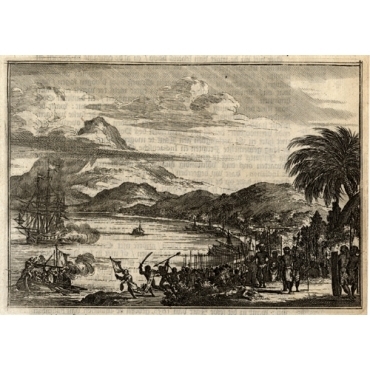 Antique print, titled: 'Camp de l'Uranie dans la baie des chiens - 273, Australie', A view of the camp of the Uranie near the Bay of Dogs, near Peron island. 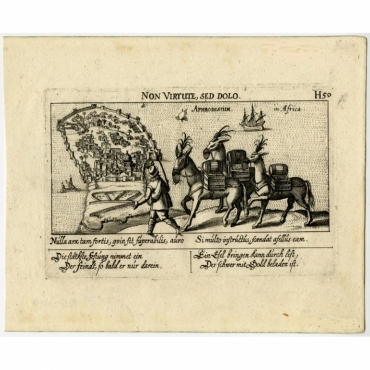 Plate: 'Victorieuse Batalie der Hollanders.' (Victorious sea battle of the Dutch.) Six Portugese ships were beaten by the Dutch VOC ships before Makassar and its Royal Palace Samboupo, South-Sulawesi, Indonesia, in June 1660. 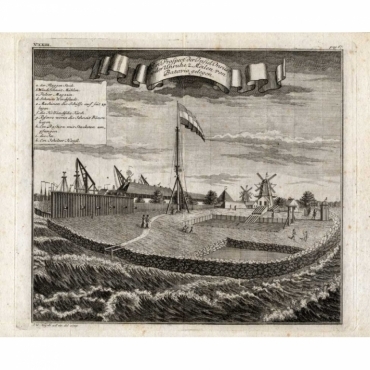 Antique Print 'Ein Prospect der Insul Onrust oder Unruhe 2 Meilen von Batavia gelegen.' 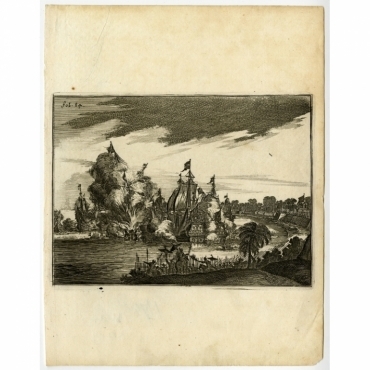 (View of the island ' Onrust' near Batavia.) This plate shows the Dutch flag, windmills, church, workshop etc. 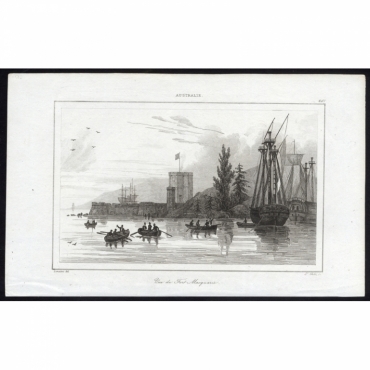 Antique print, titled: 'Vue du Fort Macquaire - 267, Australie', A view of Fort Macquarie, at Bennelong Point, Sydney, where the Opera House now stands. Antique print, titled: 'Non Virtute, sed dolo. Aphrodisium in Africa.' - ('Not by Virtue, but Deceit'). A map of Bone in Tunisia. It shows a merchant with three laden horses in the foreground and a bird's eye view of the city to the left. Map numbered H.59. 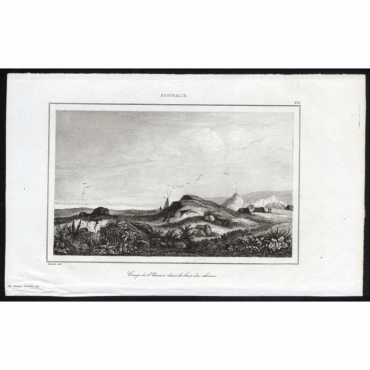 Antique print, titled: 'Grand Temple de Mexico - Groote Tempel van Mexico.' - Bird's eye view of the Great Temple of Vitsliputsli in Mexico City.